The Road to the Kentucky Derby will continue this Saturday with a competitive renewal of the $200,000 LeComte Stakes (gr. III) at Fair Grounds, a race that has produced many Kentucky Derby starters in recent years, including Mo Tom, Tom's Ready, Destin, War Story, Vicar's in Trouble, Oxbow, and Golden Soul. Time will tell if any of the 2017 LeComte contenders will go on to run in the Kentucky Derby, but they look like a promising group of horses with the potential to achieve success on the Derby trail. Let's take a look at the race! With the unbeaten Saint's Fan likely to scratch due to a poor post position draw, a field of eleven is expected to start in the LeComte, a race with no clear standout favorites. 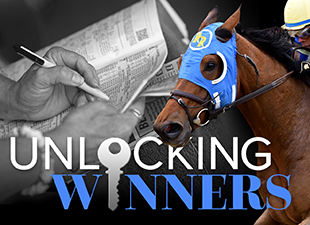 You can make a case for pretty much every horse, and finding the winner will be no easy task. However, it's interesting to note a couple of trends that we've seen in recent editions of the Lecomte Stakes. For one, shippers from other tracks--primarily Churchill Downs--have dominated the winner's circle, with four winners (three from Churchill) in the last five years. Additionally, horses carrying top weight have had more success than you might expect, frequently winning under 122 pounds while conceding as many as six pounds to the other runners. With these facts in mind, Guest Suite looks like the horse to beat. After finishing a decent third sprinting in his debut at Ellis Park (finishing behind the twice Grade 1-placed Wild Shot) Guest Suite stretched out to 8.5 furlongs and easily won a maiden race at Keeneland, pulling away to win by 2 ¼ lengths over a good field that included recent Oaklawn maiden winner Hence. Stepping up into stakes company, Guest Suite faced early Derby favorite McCraken in the Street Sense Stakes at Churchill Downs, and while he was no match for McCraken, Guest Suite ran well to finish third. He rebounded powerfully in his fourth and most recent race, cruising to a decisive 6 ¼-length win in a one-mile allowance race at Churchill Downs. Judging from the competition he has faced and his excellent runs at Churchill Downs, Guest Suite looks poised for a very big run in the LeComte Stakes. His human connections have enjoyed strong success in this race--trainer Neil Howard has won it twice while jockey Robby Albarado has ridden four winners--and Guest Suite fits well in terms of Beyer speed figures. Somewhat surprisingly, Guest Suite is 5-1 on the morning line and isn't the race favorite. That honor has gone to Untrapped, who will make his two-turn debut in the LeComte after a pair of good efforts sprinting at Keeneland at Churchill Downs. In his debut, Untrapped had a troubled start and was far back early on before rallying to finish second, beaten six lengths by the future Smarty Jones Stakes winner Uncontested. Off of that effort, Untrapped was favored to break his maiden going 6 ½ furlongs at Churchill Downs and did so by a decisive 5 ¼ lengths, showing much more speed than in his debut. The big question is whether Untrapped can handle the extra distance and second turn of the LeComte Stakes. His sire, Trappe Shot, was a sprinter, but Untrapped could gain some stamina from the dam side of his pedigree, as his half-sister was a two-time winner going a mile and Untrapped's broodmare sire is Giant's Causeway, generally a source of stamina. Racing for the team of trainer Steve Asmussen and jockey Ricardo Santana Jr., Untrapped's speed and ability to rate off the pace could help him get first run at the leaders turning for home, and from there, he could be tough to catch. Trainer Larry Jones has won this race three times and could have another big chance with Running Mate, who opened his career with two easy wins before faltering in the six-furlong Sugar Bowl Stakes at Fair Grounds. His performance that day was a bit dull that day, but he has the pedigree to stretch out in distance and might very well thrive going two turns. One longshot that has really caught my eye is Totality, who won his debut at Churchill Downs before finishing fifth in a competitive two-turn allowance race at the same track. Most recently, he contested the $300,000 Remington Springboard Mile, where he found himself trying to close ground into a very slow pace. Although he was no match for the front-running winner Cool Arrow (who closed the final quarter-mile in :24.18), Totality was the only horse in the race that didn't lose ground against Cool Arrow in the final two furlongs, staying on gamely to finish second by 3 ½ lengths. I don't think we've seen the best that Totality has to offer, and if he gets a quicker pace than he did in the Springboard Mile, Totality could be a legitimate threat to hit the board at 12-1. Other horses that could draw wagering support include Shareholder Value, the winner of a 1 mile and 70-yard Fair Grounds allowance race on December 26th, and Takeoff and Arklow, the 1-2 finishers in a Fair Grounds maiden special weight at the same distance on the same day. Interestingly, the maiden race featured modestly quicker fractions and a significantly faster final time, suggesting that Takeoff and Arklow might be very good horses. Of the pair, I narrowly prefer Arklow, who had to wait for racing room on the far turn while Takeoff got away with an easy lead. Once Arklow got clear, he closed resolutely and fell just a length short of victory--I think that's an effort he can build on in the Lecomte, and he's appealing at 10-1 on the morning line. So to recap, I'm going to take Guest Suite as my choice to win and hope that his proven ability against high-class rivals at Churchill Downs will help him prevail in this competitive race. For the exotics, the late-running pair of Totality and Arklow are the two that intrigue me most at large prices, with Running Mate and Untrapped the logical candidates to be part of the pace and hang around for a good finish. Now it's your turn! Who do you like in the LeComte Stakes?